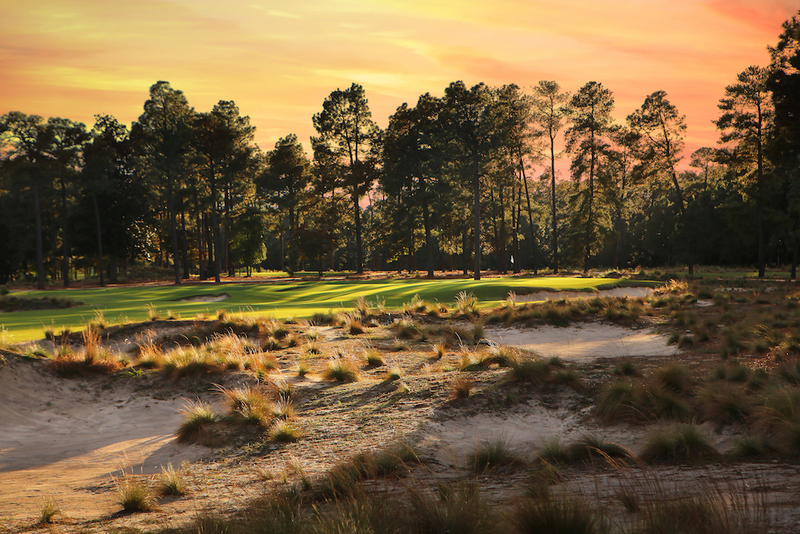 Every golf course is a work in progress, changing over time at the hands of both nature and man. 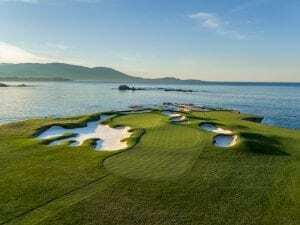 Pebble Beach Golf Links is no exception, having evolved since its opening in 1919 with everything from minor touch-ups to the unveiling of an all-new, Jack Nicklaus-designed par-three 5th hole in 1998. Over the last few years, and in preparation for next year’s U.S. Open, work has been completed on three greens—nos. 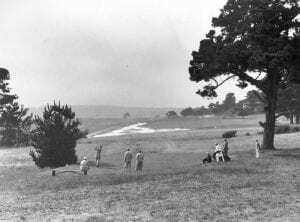 13, 14, and 17—with an interesting twist: All were rebuilt so they look more how they did when the course first opened a century ago, as shown in historical photographs that were taken in the early 1920s. Along with the new looks, each green was made a little bit bigger and recontoured—allowing for more hole positions—as well as constructed to USGA specifications and fitted with SubAir underground drainage and ventilation systems. 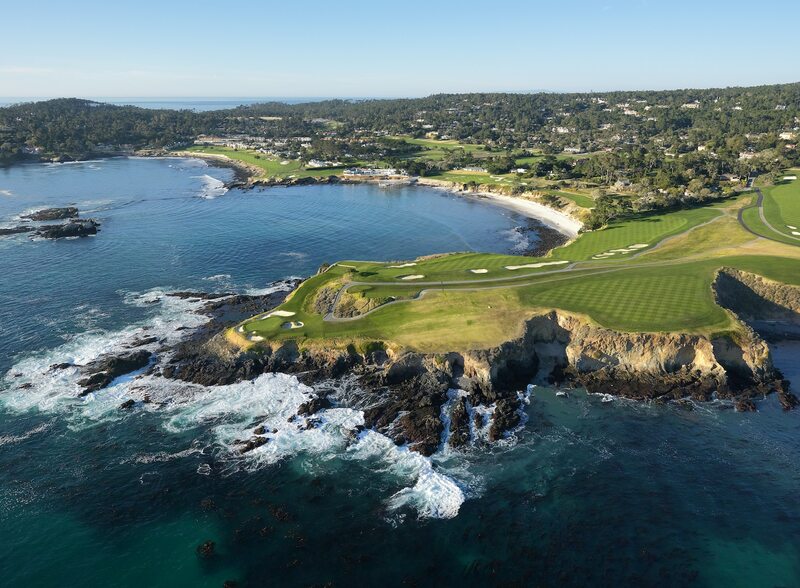 This is the most recent of the rebuilds, with work starting shortly after the finish of the 2017 AT&T Pebble Beach Pro-Am. About 400 square feet was added to the right side (watch for pin positions on the back-right shelf) and the bunker to the right of the green was lowered. There’s also now a bunker on the left side of the green, but it’s not really new, as there was one there in the old days that had disappeared over time. The restored bunker drops about six feet below the putting surface. 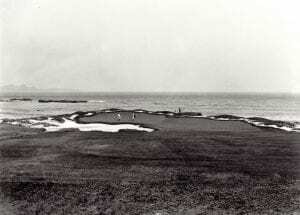 Something else interesting about the green at 13: It was one of two originally designed by Alister MacKenzie (he also did no. 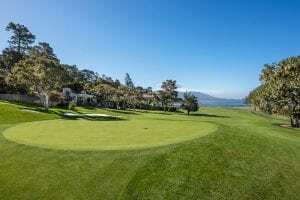 8), and he devised it with a strong slope from right to left toward the water. The slope is still there, but not as severe as it used to be. The putting surface at 14 has long been one of the smallest (roughly 3,000 square feet) and, due to its pronounced slope, hardest to hit on the course. Now it’s about 1,000 square feet bigger, which nearly doubled the number of available hole locations, particularly on the right side. The added area went mostly to that right side, bringing it closer to a bunker that also was enlarged and now comes more into play. On the left side, the front lip of the large left-side bunker was lowered by more than two feet. The work, which was done in the spring of 2016, creates alternative ways to get on the green, rolling it in on the right side or lofting it to the left and holding the now slightly flatter surface. 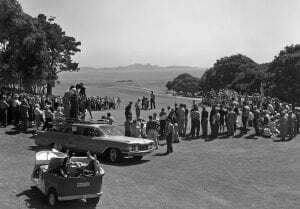 Thanks to memorable shots like Nicklaus’s 1-iron that hit the pin during the 1972 U.S. Open and Tom Watson’s chip-in in 1982, the green at 17 is one of the course’s best known. So the changes made in 2015 had a great deal of history to take into account. 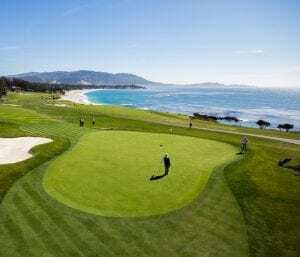 The left side of the green received most of the attention, as the surface grew from about 3,500 to 5,000 square feet, allowing for more hole locations and more receptivity from the back tees. 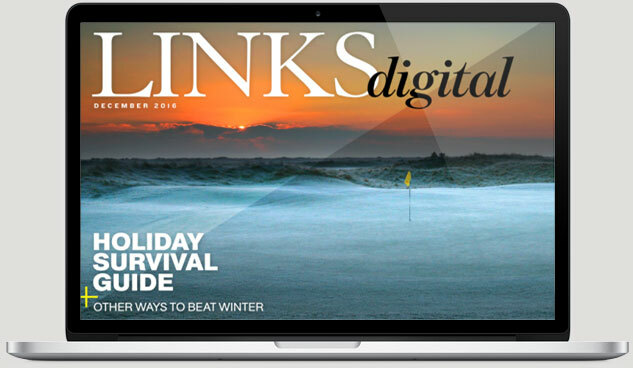 The bunker on the left also has a new look: It’s been brought down closer to its original height, making it easier to see the green from the tee, and has been reshaped with scalloping and fingers reminiscent of its appearance 100 years ago. And while not technically on the green, there’s now a plaque marking the spot where Watson struck his “shot heard ’round the world” to lock up his only U.S. Open title.